Here is a marvelous New England niddy-noddy from circa 1870. 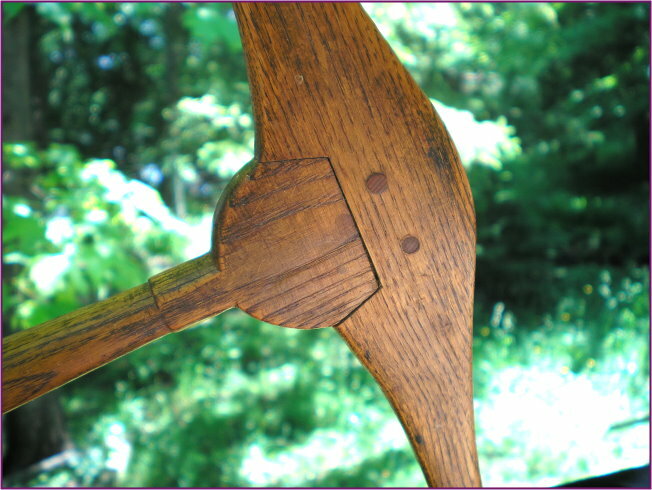 Nitty-noddys were a tool used by wool spinners to measure out skeins of yarn. It consists of a central rod with crossbar ends offset from each other at 90 degrees, allowing for continuous winding when held in one hand while the other hand winds the yarn. 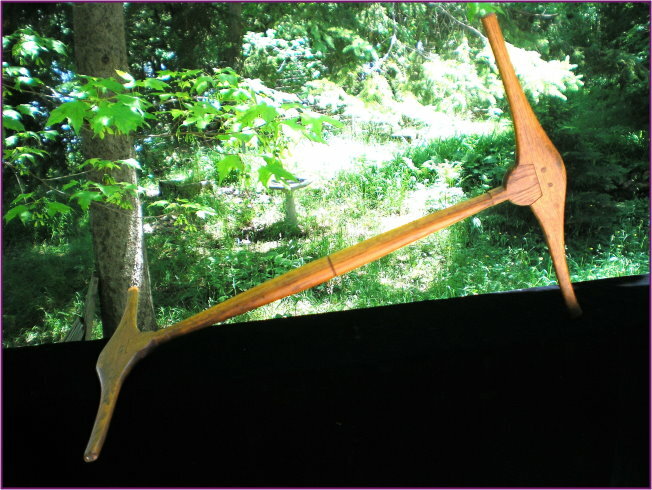 This walnut wood niddy-noddy is characteristic of early New England craftsmanship with it's hand-made mortice and peg construction and may possibly be of Shaker origin. This nitty-noddy, one of best we've ever seen, is of the finest handcrafted quality and possesses the warmth and glow appropriate to it's age and status. It's simply the finest example of it's kind. It measures 18 1/8" long with each ear measuring 12 3/8" long.